I have absolutely no idea why but I got the idea in my head that painting anything other than 100% real wood is impossible. 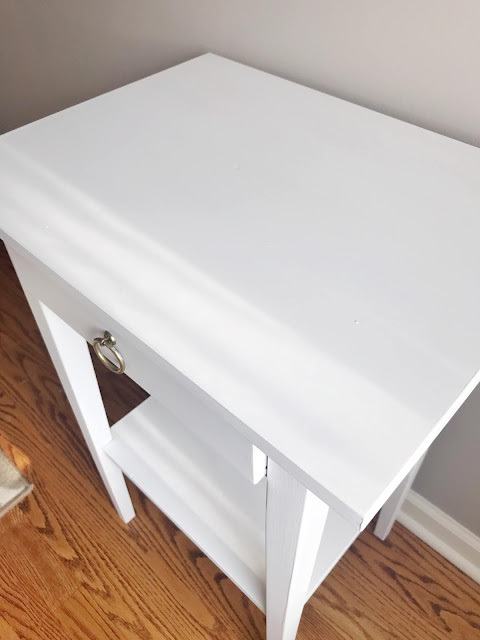 When I set out to complete this project I read blog after blog with tips and tricks on how to paint laminate. I was prepared for the worst- but honestly they were all missing one big secret. Enter Fusion Mineral Paint. 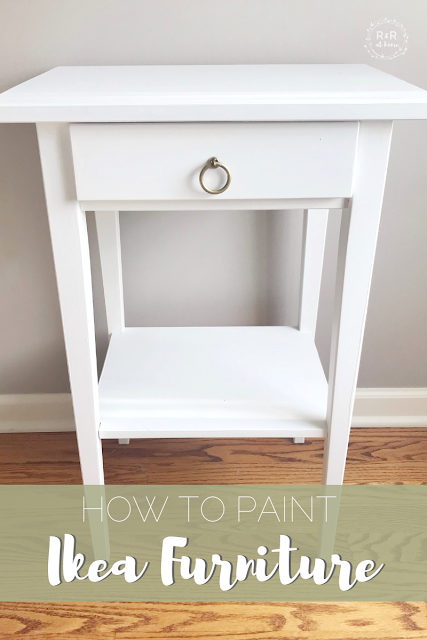 I have been using Fusion since I painted my first side of the road dresser a couple year ago (spoiler- that dresser is making it's way into this $100 Room Challenge!). I was hooked when I continued to see my favorite bloggers rave about the product. 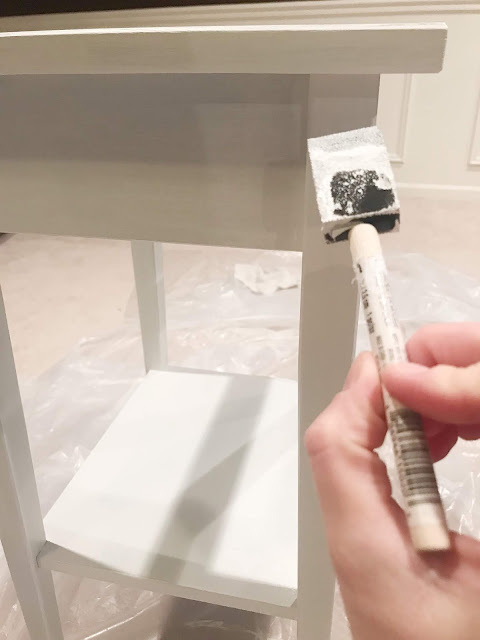 It is honestly my go-to paint for every project- from painting signs to upgrading fabric cubes for my son's playroom. 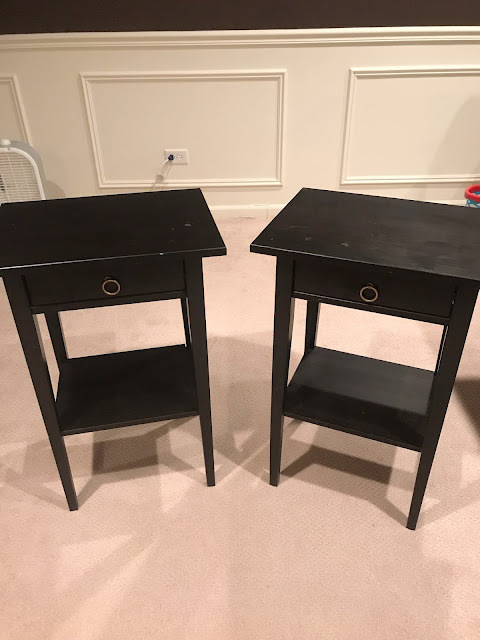 I use it on everything so I'm not sure why I thought it wouldn't work with these nightstands. It was honestly the EASIEST process ever. 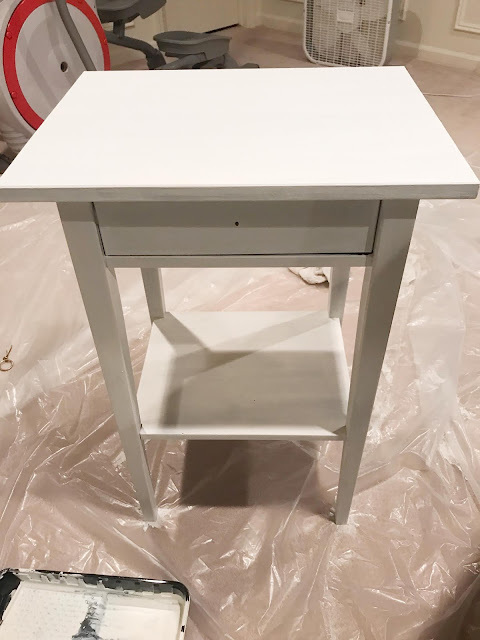 No sanding, no primer, no top coat. 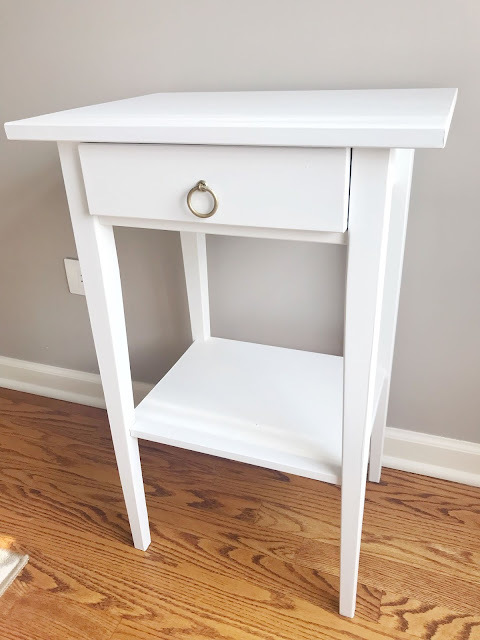 Just a few coats of paint and voila... new nightstands! Am I beginning to sound like an ad? 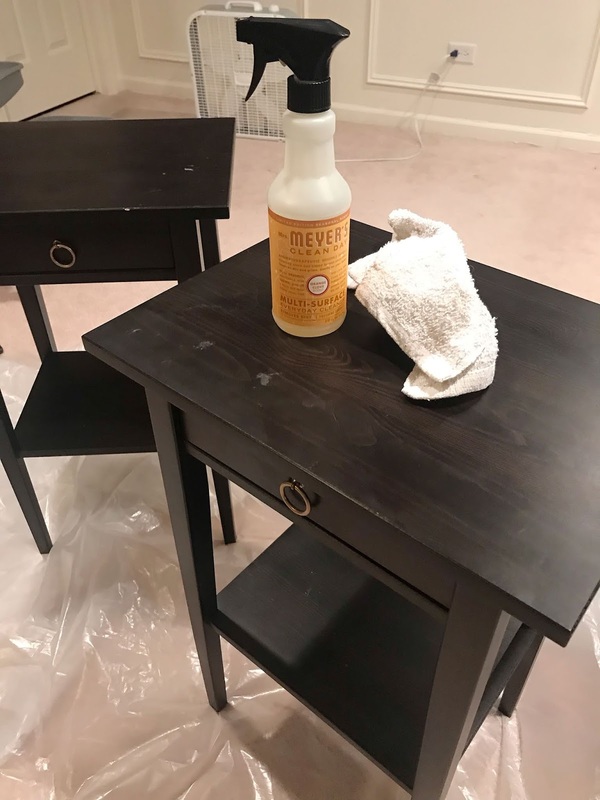 I swear this post isn't sponsored but I'm serious- this product was amazing to work with and made painting this 'mostly wood' furniture a breeze. The first thing I did was give each table a quick wipe down using some all purpose cleaner (I happened to have Mrs. Meyer's close by). Then, I simply started painting! For the first two coats, I used a rounded brush. 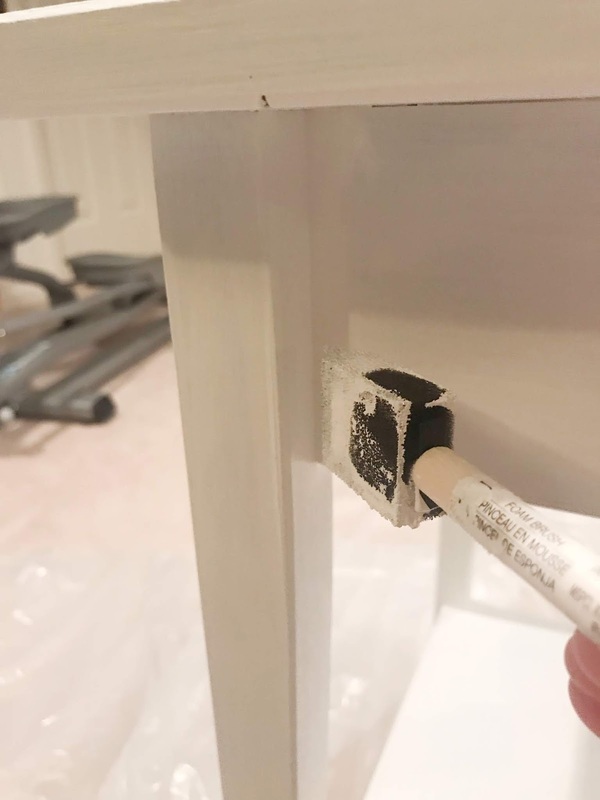 For the last two coats I chose to use a foam brush on every area except the top of the table and the top of the shelf. I felt that the foam brush helped get into tiny corners and even everything out. Now let's see the after! And here's a quick peek at what's to come! I cannot believe how easy it was to paint these! I wish I had more step by step to show you but really all you have to do is move your brush! One tip I do have is to keep the coats light- because of this more coats may be needed. I did 4 coats total and it probably took about 2 hours from start to finish (not including drying times). 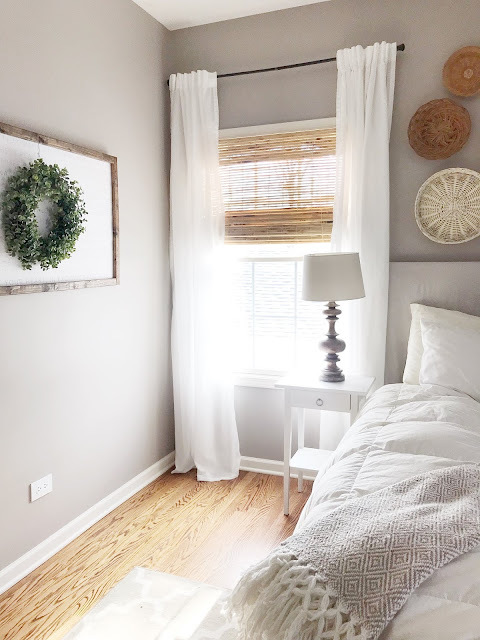 So far, all of the changes we've been making have completely transformed our bedroom. I'm sitting here next to my new white nightstands as I type this post and I'm just happy as a clam :) Stay tuned for next week- the project I've been avoiding until the end because it's another one that scares me- re-upholstering our headboard! Be sure to check out the progress from all of the other bloggers below! Such a pretty color and now they look so light and bright. I've heard of Fusion paint before but haven't tried it yet. Thank you! 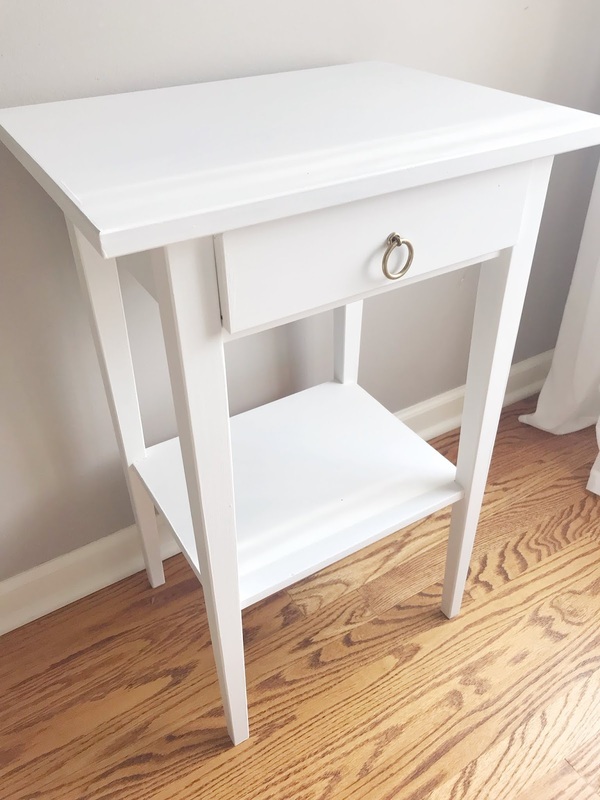 I honestly cannot believe how easy these were to paint and they are completely transformed! It's looking awesome Rebecca! I have never used Fusion paint before but now I want to try it. Can't wait to see the full reveal soon! Fusion is seriously such an amazing product! I am hooked! So excited to reveal in just a couple of weeks! I've never heard of fusion paint. Where do you find this? I'm wondering how it might work on the interior kitchen cabinets in our RV? Such an amazing transformation. They look like you bought them that way. I'm ready to go buy me some of that paint!!! Yes! It does work on cabinets! I have seen people use it to paint their kitchens! You can buy online or they sell at small shops locally! It is seriously my favorite paint ever and I LOVE their colors! Love this post! 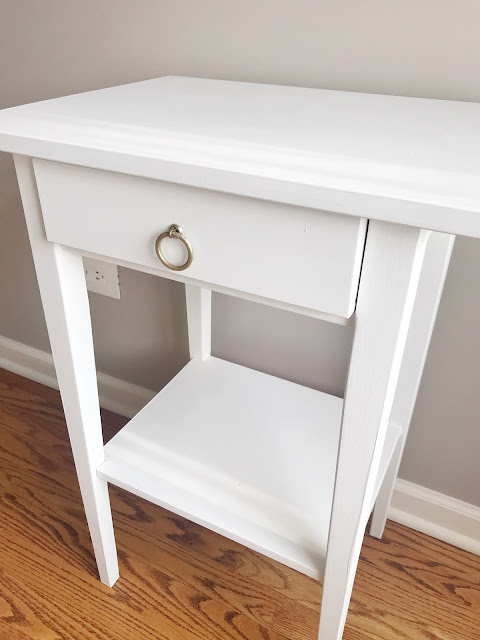 IKEA has some great short term pieces and this is a way to customize them even further. Great progress! Yes! Love me some Ikea! I've definitely had these longer than I was expecting and now they definitely aren't going anywhere soon! What a great and simple transformation! I am getting ready to make over our desk for the challenge, and it is from Ikea as well! I'm planning on using a paint sprayer, so we shall see how it goes! Thank you!! And I have never used a sprayer before so I am interested to see how it goes for you!! Omg it looks brand new!! You did an awesome job! Thank you!! I really cannot believe how well they turned out!! I have never tried the Fusion paint before but I am totally game, it sounds amazing. Thanks for all the great tips. You room is looking great cant wait to see the reveal. Thank you!! I would highly recommend fusion- it is seriously an awesome product and company!! I am hooked!! Thank you!! I definitely recommend Fusion to anyone and everyone!! I am totally hooked on the project and company!!! They turned out beautiful. I never tried Fusion Paint before, but now i really want to. Great tutorial! Thank you!!! I am so excited to watch this room transform- and yes, I totally recommend Fusion!! They look great! And your room looks like it is really coming along! I am SO glad you did this. 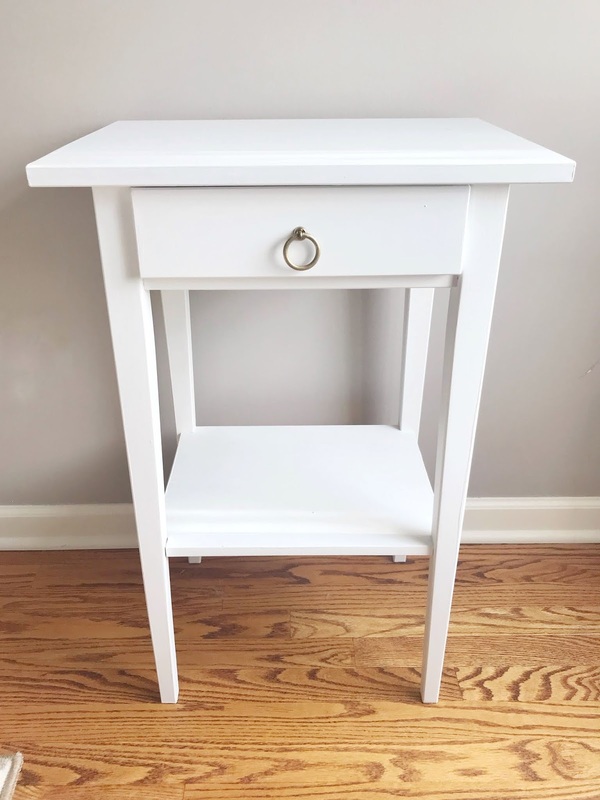 We have lots of IKEA furniture, and I'm always terrified to paint it for fear that the paint won't actually adhere. 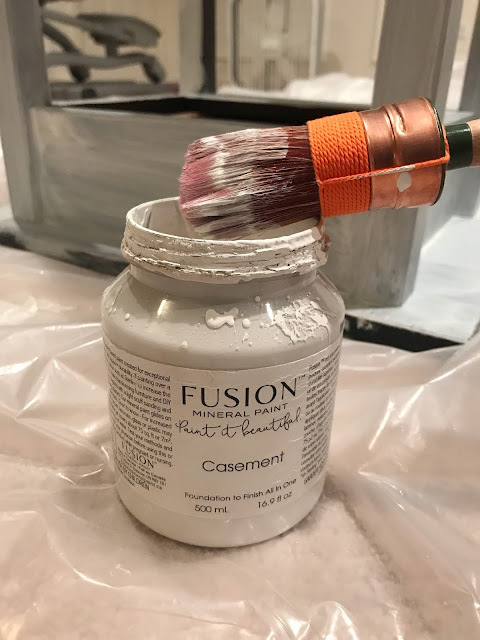 I have heard wonderful things about Fusion Mineral paint, but I've never used it. Pinned so I can remember in the future!